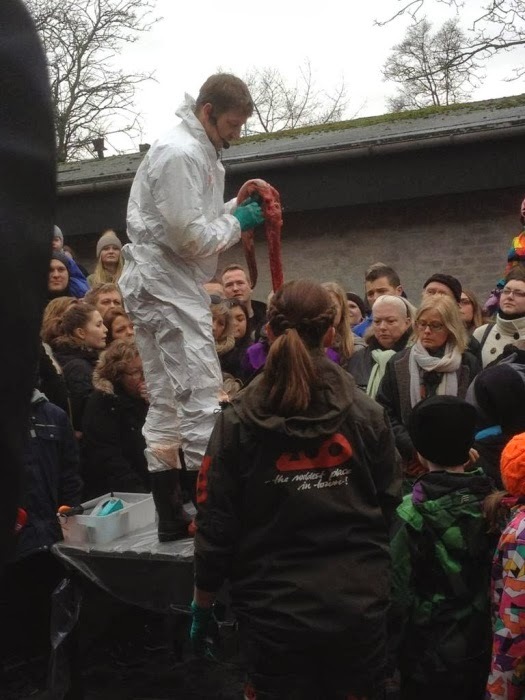 Sorry for these pictures, but it has to be seen. 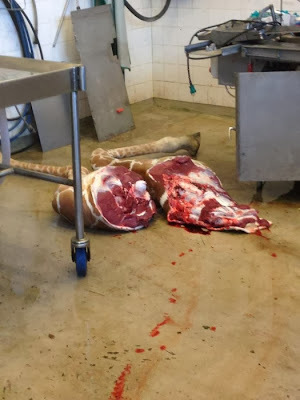 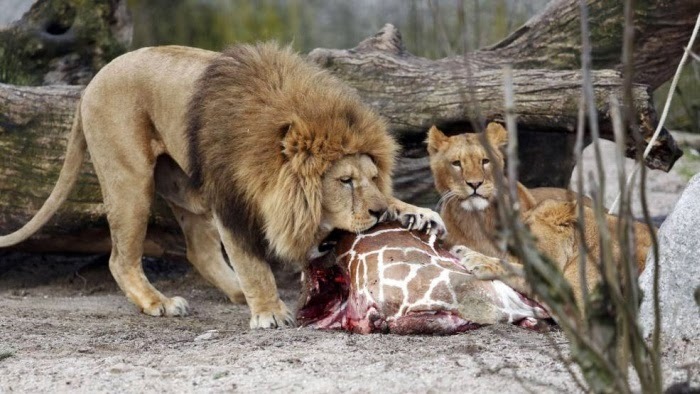 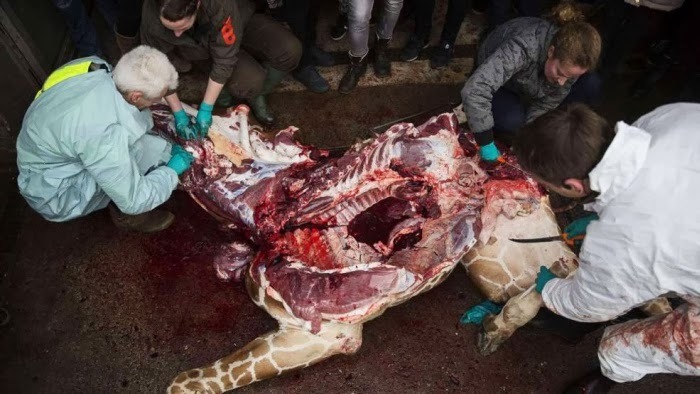 A Copenhagen zoo in Denmark killed a young giraffe named Marius with a bolt gun and fed its meat to the lions Sunday, saying the animal was “unwanted.” Marius was given its favorite meal of rye bread by a keeper – and then shot in the head by a vet. 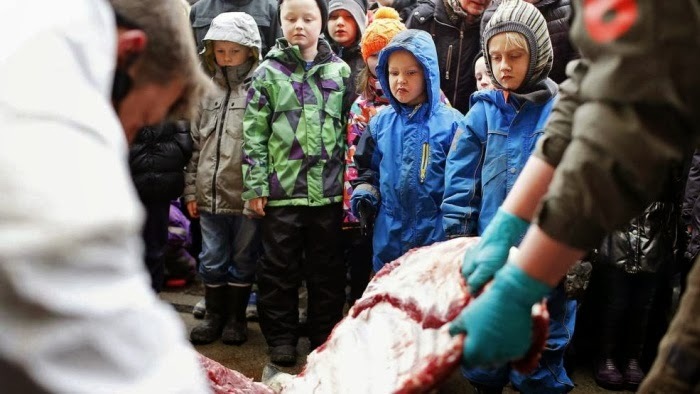 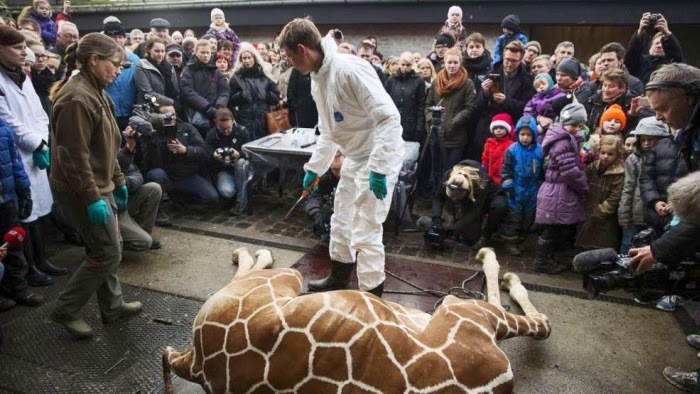 The death of Marius, an 18-month-old giraffe considered useless for breeding because his genes were too common, was followed by his dissection in front of a large crowd, including fascinated-looking children, prompting outrage and protests around the world. 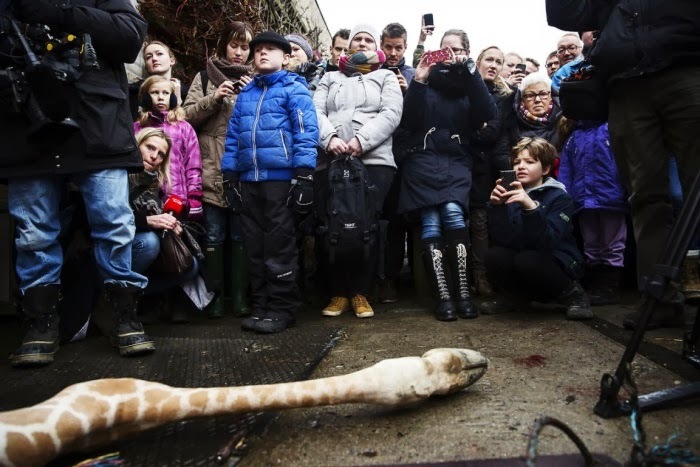 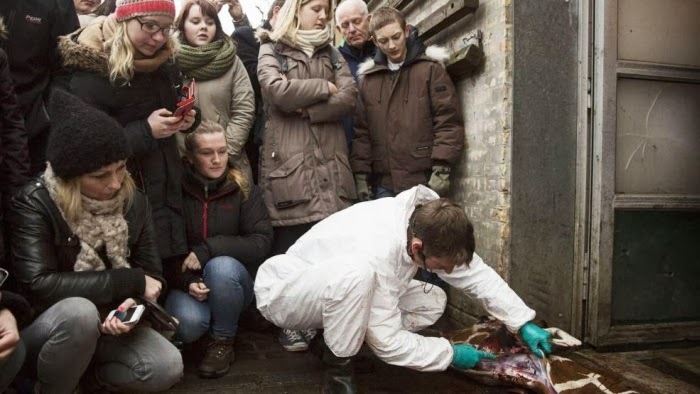 Copenhagen zoo carried out the killing despite a small group of protesters at the gates and an international petition which garnered more than 27,000 signatures, as well as offers from several zoos to rehouse the creature. 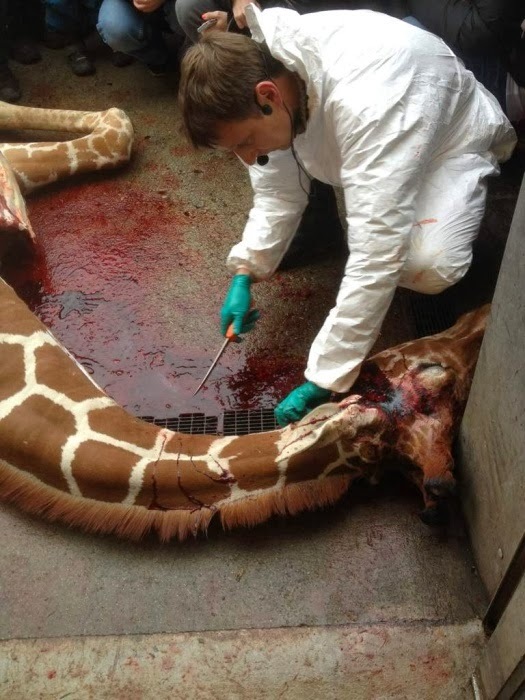 Yorkshire Wildlife Park, near Doncaster, which offered to take Marius, said it was saddened to learn of his fate. The animal was killed with a bolt gun so that its meat could eaten, which would not have been possible if anaesthetic had been used. 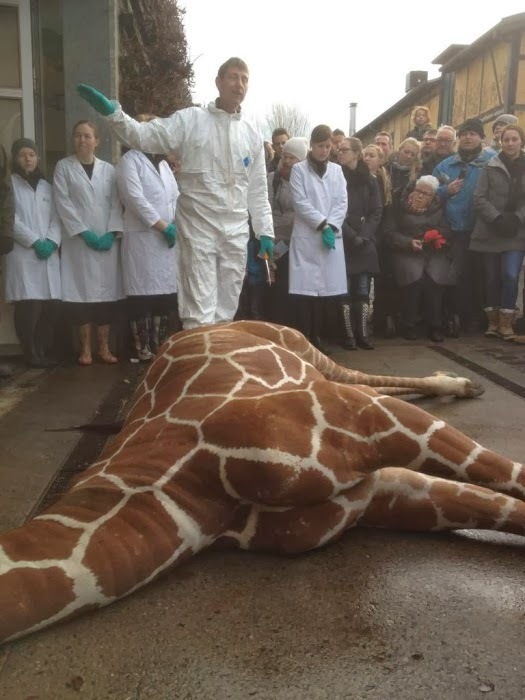 When a storm of protest broke over the news that the giraffe was to be killed – the small gene pool among European zoos meant there was a risk of inbreeding if it was allowed to reproduce – the zoo posted a detailed justification on its website. It explained that as part of an international programme, only unrelated animals were allowed to breed: "When breeding success increases, it is sometimes necessary to euthanise." 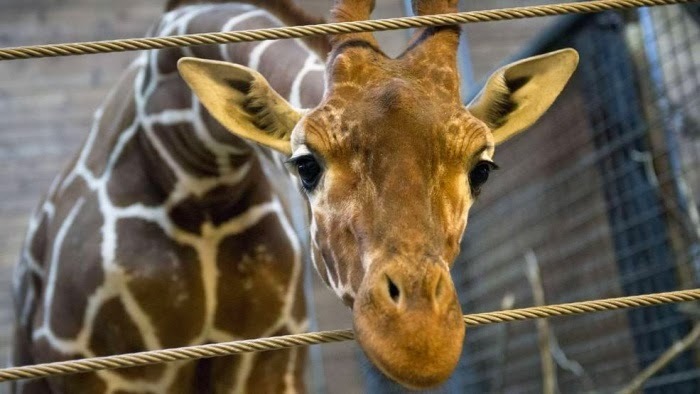 The zoo also said that giving Marius contraceptives would have had unwanted side-effects and represented poor animal welfare, and that there was no programme for releasing giraffes into the wild. Marius has been killed by human beast. they are pain to death that spreads in flood. 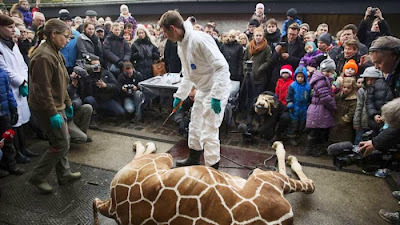 Marius is an hero who invites us to resist. 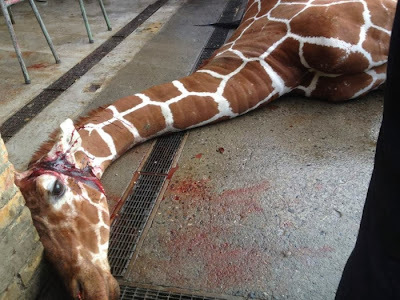 anachronistic jails, against Nature abuse!